Have you written a book and then struggled with marketing it? I get regular emails from readers in this situation. Many of them, it seems, are allergic to book marketing. Even though I’ve left Facebook, I know that I can’t escape social media altogether, so I’m still active on Twitter. Plus, I blog five times each week. And my book, 8 1/2 Steps To Writing Faster, Better, is still selling well. 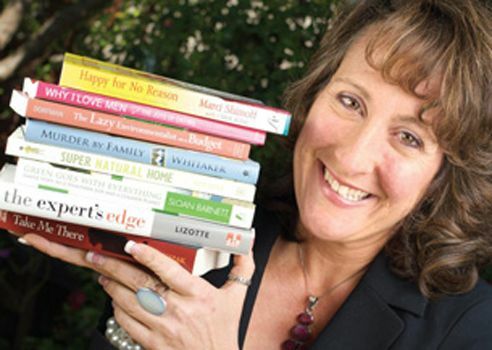 But if you’re struggling with book marketing, take some advice from expert Penny Sansevieri (pictured above). In a detailed and thoughtful blog post, headlined, “Get the Most from Book Marketing Services,” she provides a useful checklist. Collaboration is a good thing. With 4,500+ books published every day, you needn’t stress about duplicating efforts. Consumers often need as many as seven exposures before deciding to make a purchase. Were you aware that 4,500 books are published every day? Those are staggering odds. To deal with the competition, Penny suggest that authors begin with a rock-solid website — but that’s far from the final step. She suggests we also use social media, get reviews, run promotions and giveaways and start working on our next books. For those who are especially fearful of social media, she even provides a rather neat social media personality quiz that will reveal whether your best option is: Goodreads, Twitter, Facebook, Instagram or video. Book writing is not the only job facing authors. Book marketing is another essential task.